After forgetting about the new London 2012 Olympics logo for a week I stumbled upon this post at Design Observer. I did love that Sun headline. 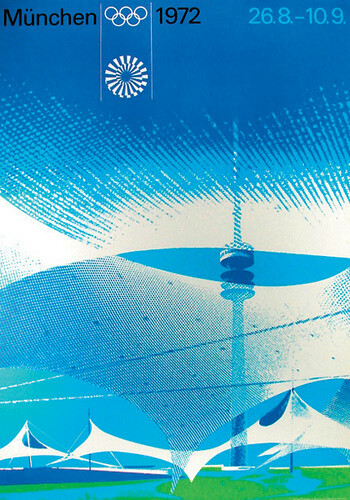 Anyway, to try to forget this “cool” new rave identity (at least until it gets plastered over every billboard in town) I decided to do a little search for one of my favourite Olympics identities of the past: Otl Aicher‘s work for Munich 1972.